The third generation STICK is the flagship controller from Nicolaudie. 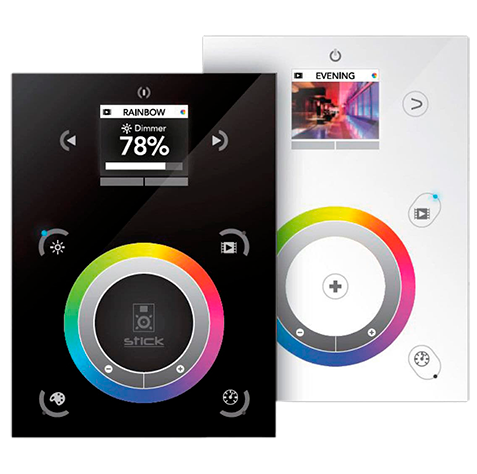 Integrating a color display and compatibility with all Nicolaudie computer software and mobile apps, the controller has been designed to accept the most challenging projects with ease. The STICK-DE3 can be adapted to any environment. Control dynamic lighting inside a house, bar, office block, shopping center, hotel or even a landmark. With 1024 DMX output channels and the ability to store 500 scenes across 10 zones, the DE3 is one of the best value controllers on the market today.